NeuVector partners with solution providers and reseller companies to support automated deployment of NeuVector. To become a NeuVector solution partner please contact us at [email protected]. Founded in 1993, InterVision is a premier provider of IT solutions and services helping clients in the U.S. and globally. InterVision has worked with more than 5,000 clients across industry sectors to solve their biggest challenges. "After extensive research we found NeuVector's 'RunTime' visibility and security approach for Kubernetes and Docker based containers as a 'Must Have' for enterprises looking to secure their production environment from internal and external threats." Burning Tree is a specialised Information Security company operating globally to offer technology and consulting services. With a proven track record in Information Security Improvement, Transformation, Architecture and Business Development; we provide high value services, helping our clients and partners gain true business value from security solutions. 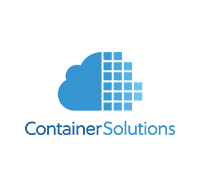 Container Solutions is a premium software consultancy that focuses on programmable infrastructure, with offices in the Netherlands, the United Kingdom and Switzerland. Container Solutions offers expertise in software development, as well as leadership, strategy and operations to help customers innovate at speed and scale. Together, NeuVector and Container Solutions deliver secure containerized solutions for greenfield and brownfield deployments. 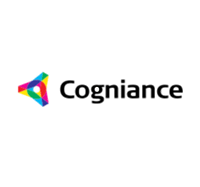 Cogniance provides consulting services to companies deploying and securing container based applications. From inception to launch and beyond, Cogniance helps innovators bring technology products to market. Together, NeuVector and Cogniance deliver solutions for greenfield and brownfield container deployments. Security assessments for container deployments are also provided. As a DevOps company we enable our customers with talented people and the latest technologies to speed up IT delivery. Containerization, orchestration, monitoring and automation of software is the core of our mission. 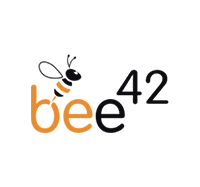 We use a lot of open source technologies and share our knowledge actively within the community in conferences, meetups and blog posts. TAQNIA ME provides virtualization, container and cloud services. 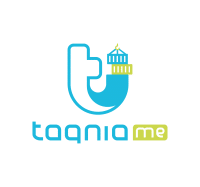 TAQNIA ME is the first company in the Middle East dedicated to helping enterprises deploy container and microservices technologies, with an expert team that has over 10 years of experience. Erik Sterck GmbH is an manufacturer-independent IT system supplier and helps its customers to shape the future for continuous automation: highly professional, individual and cooperative consultancy, both for the entire data centre environment and cloud computing services. A fair and objective approach for maximum customer focus. Clouds Sky is a consultancy based in Cologne, Germany with a focus on cloud orchestration through Kubernetes and Rancher, and cloud-native software development. We strongly believe that NeuVector’s Container Firewall is a must-have for all commercial container deployments and thus supports our customers on their road to secure and compliant container-based environments.